The prices for precious metals increased in Azerbaijan on Feb. 18, Trend reports citing the data published by the country’s Central Bank. 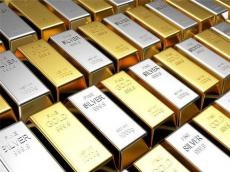 The price of gold increased by 18.258 manats to 2,250.2900 manats per ounce in the country on Feb. 18 compared to the price on Feb. 15. The price of silver increased by 0.3925 manats to 26.8884 manats per ounce. The price of platinum increased by 35.7 manats to 1,370.2850 manats. The price of palladium increased by 49.861 manats to 2,463.1810 manats in the country.